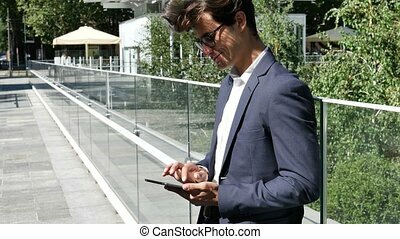 Attractive young man wearing stylish suit , using tablet in the street. Woman using tablet internet in the street Young tourist looking for direction online during holidays. 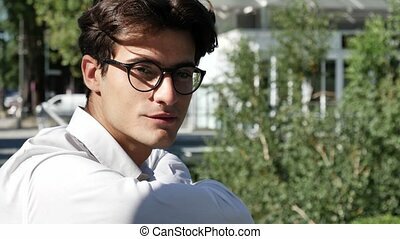 Portrait of attractive stylish young man looking into the camera and smiling. 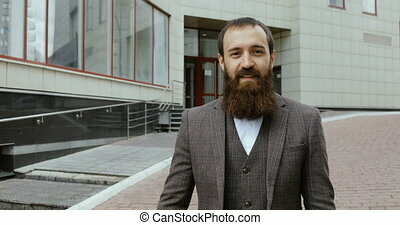 Portrait of young attractive, happy of his job, wearing suit, smiles and looks at the camera in business district. 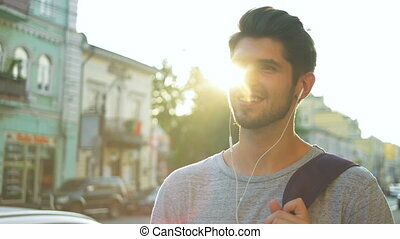 Young man using his headphones in the street. Real tourist using tablet in the street. 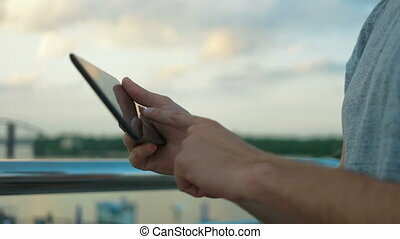 Close up of hands using tablet in the street. 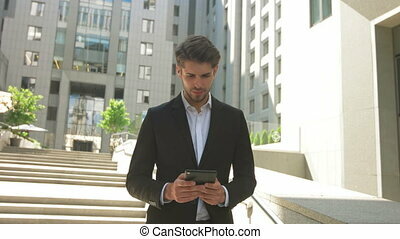 Young serious businessman using his tablet in the street. 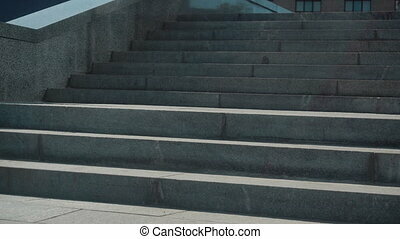 Great summer day, outdoors. Young smiling woman talking on phone, while her colleague using tablet in the street. 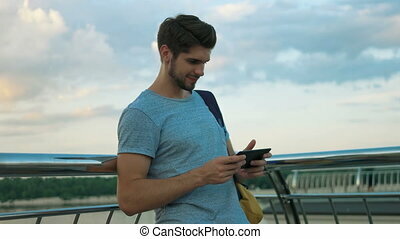 Smiling man using his tablet in front of the river. 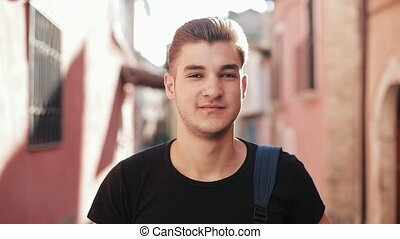 Young man relaxing on the street. 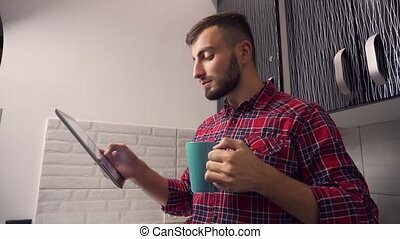 Young handsome man using his tablet. Young woman using tablet, man cutting watermelon. Beautiful businesswoman and her handsome colleague using tablet in the street. 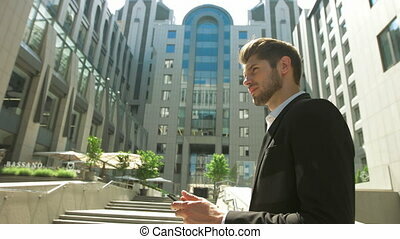 Young man using his tablet in front of a business center. 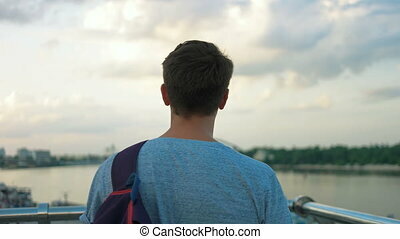 Young tourist using his tablet in front of the beautiful river. 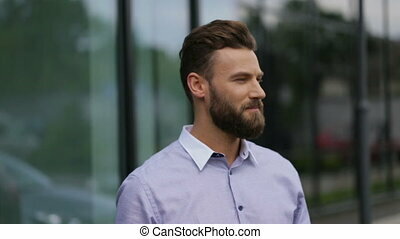 Young smiling man talking to his beautiful colleague in the windy street. 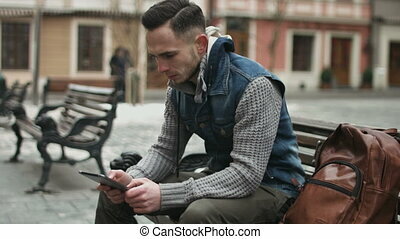 Shy young man using his tablet in the street. 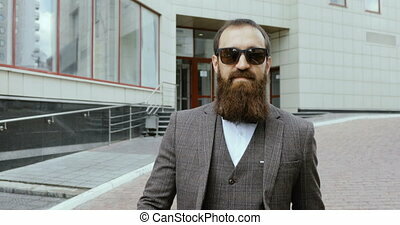 Attractive young businessman smiling in the street. 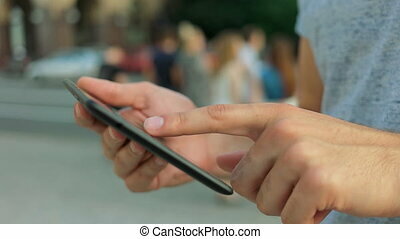 Attractive young woman using her smartphone and smile in the street. 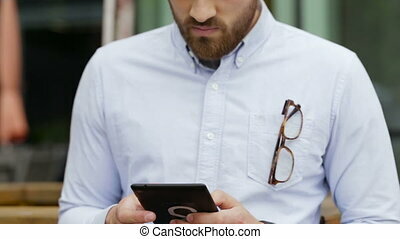 Serious businessman wearing blue t-shirt using his tablet in the street. 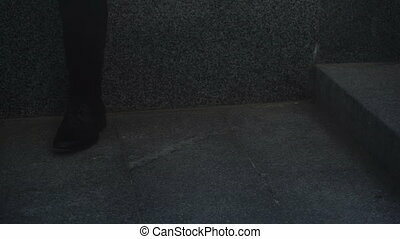 Young woman wearing trendy coat of black and white colors using her smartphone in the street. Young active woman wearing funny sunglasses flirting with her boyfriend in the street. Attractive businesswoman and her collegue working in the street. 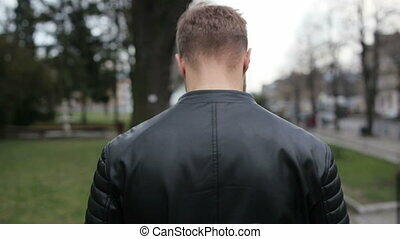 Man walking in the street and talking on the phone. 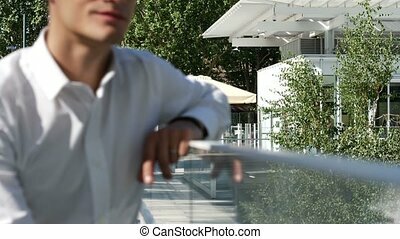 Handsome young man sitting on a bench in the center of european city using a tablet. 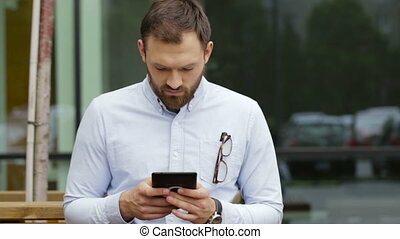 Guy playing online games on his mobile device.